It doesn't get any better than this. The Winston possess an amazing blend of flowing lines, gracious curves and a lacquer finish 'to die for'. 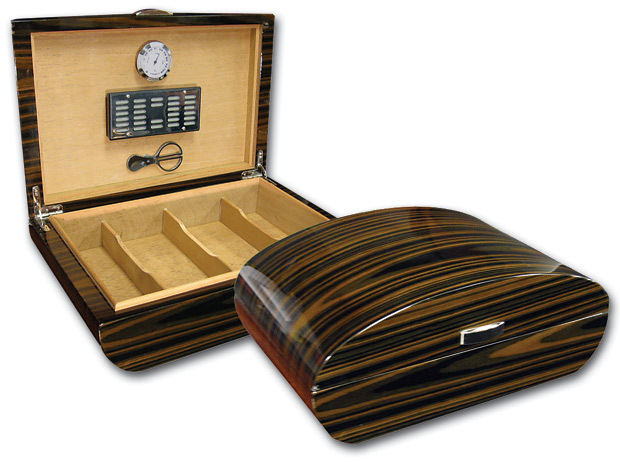 We receive countless inquiries from our customers about this humidor. This piece is unlike anything you have seen in a high end humidor and is even more striking in person. The Winston's ebony wood grain finish incorporates remarkable characteristics in a striped pattern of deep blacks and dark chocolate browns. The exterior is finished off with a polished silver pull. Opening the lid of the Winston reveals a completely finished upper and lower edge. 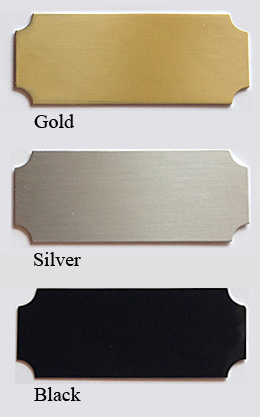 Meaning, all portions of the underside of the lid that meet the body of the humidor are finished in ebony. 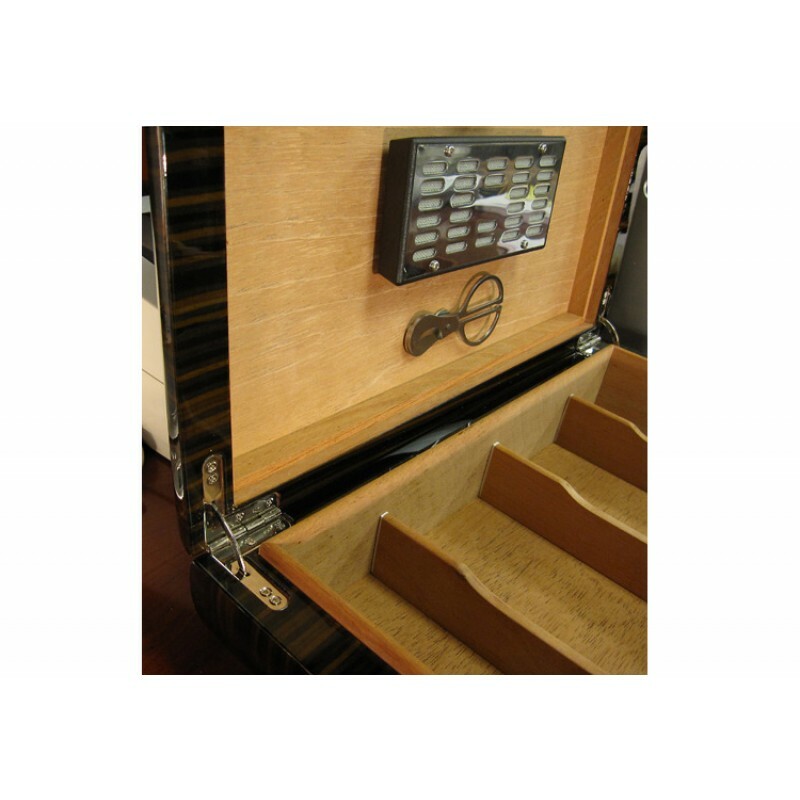 The interior is fully lined with Spanish cedar and includes 3 adjustable dividers to section off your cigars. 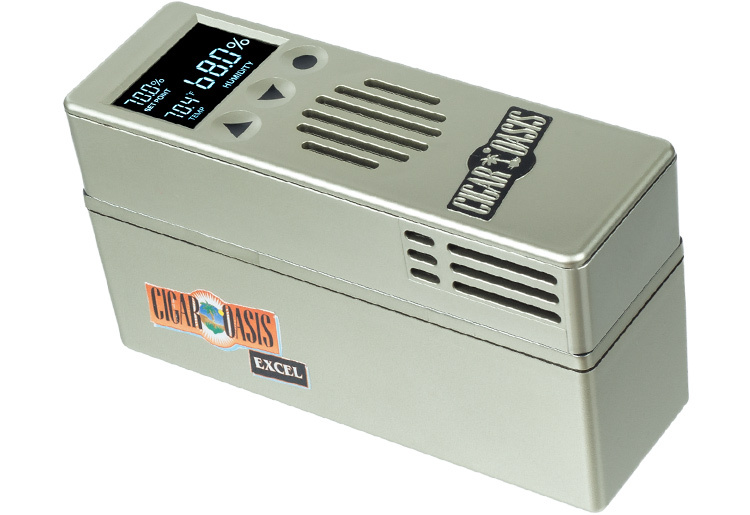 Includes a high polished 'mirror finish' silver humidifier, silver frame hygrometer and silver cigar scissors. The underside of the Winston's lid contains an invisible steel lining just underneath the cedar which allows the humidifier to attach magnetically. This means there is no need for any double faced tape or two-sided velcro. The magnet sets are recessed into the back of the humidifier, hygrometer and cigar scissors for reliable mounting right onto the cedar. If you have a need to relocate your humidifier, hygrometer or scissors, just lift and set or slide it anywhere across the cedar into position! 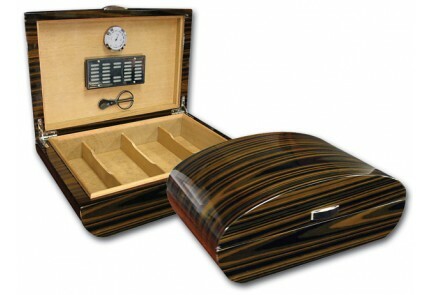 Humidor and all items are of such a good quality and touch, silky and luxurious design. 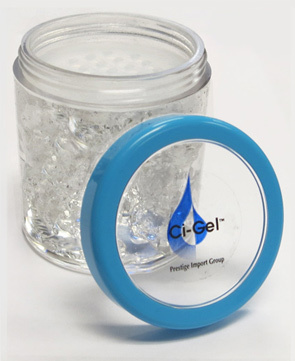 This is one example of a perfect stars alignment to have a full 5 stars on all aspects for this product, quality, customer service and price ratio. This is an outstanding humidor. 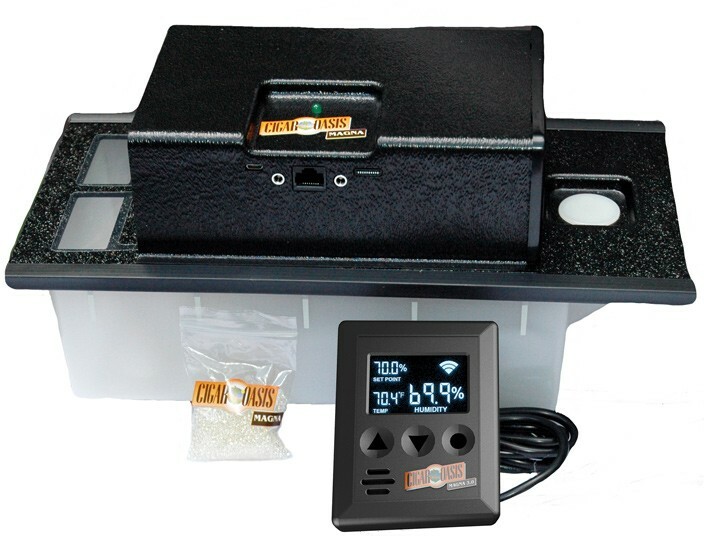 It is really hard to describe how classy it looks with its excellent ebony finish and one-of-a-kind shape. 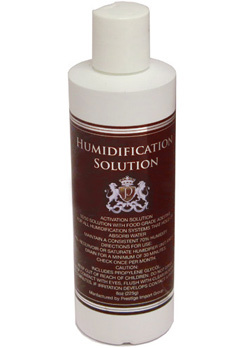 After a moderate seasoning, it sealed and hold 70% humidity within less than 18 hours. No leak whatsoever. The hidden magnetic lid is absolutely unique and useful. You don't need any adhesive sticker etc. 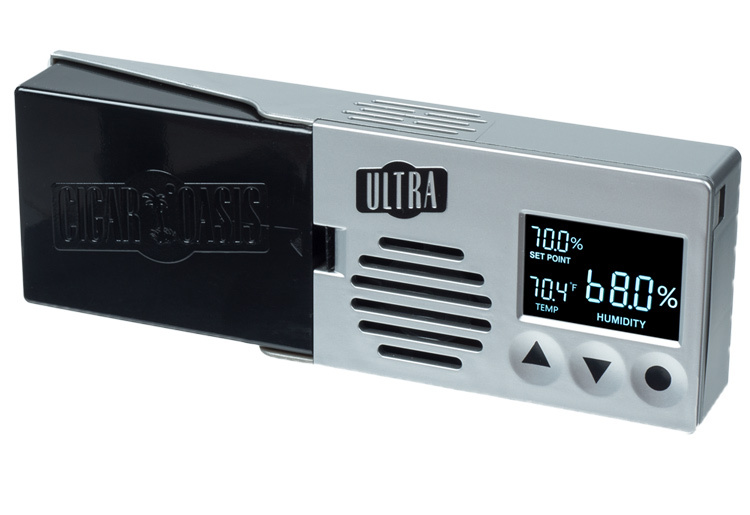 The hygrometer is pre-calibrated and works perfectly. The add-on name plate just compliments the beauty of The Winston. 75 of my 54 gauge cigars are currently sleeping in the Winston right now, and there's still room to store more. I cannot be more pleased with quality of this humidor. The finish is beautiful and the construction is truly world class. Seasoning went off without a hitch and humidity is holding steady at 70%. 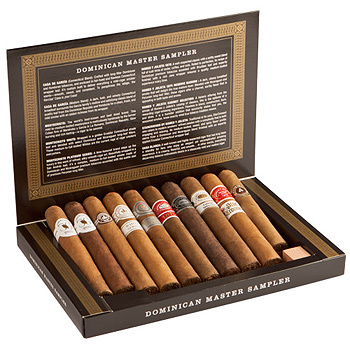 My collection of top-notch cigars are resting comfortably in their new home. 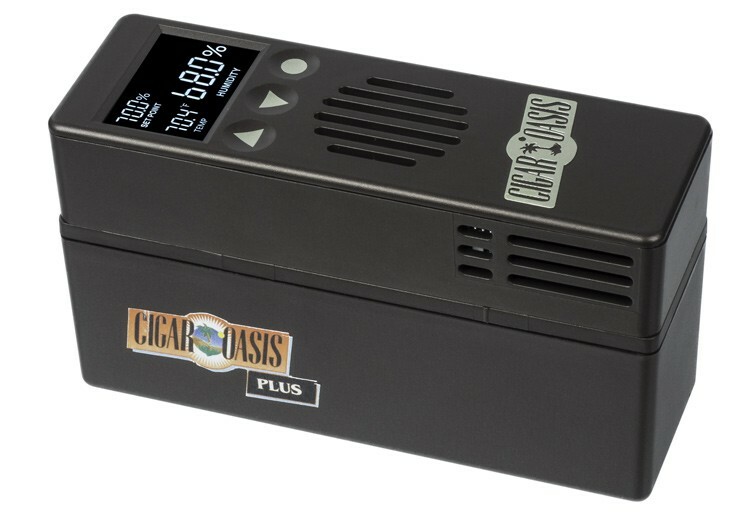 Not dissimilar to all other humidors, cigar storage is about half of advertised capacity, but one should come to expect this when housing full-size cigars whilst affording enough room for proper ventilation and air flow. 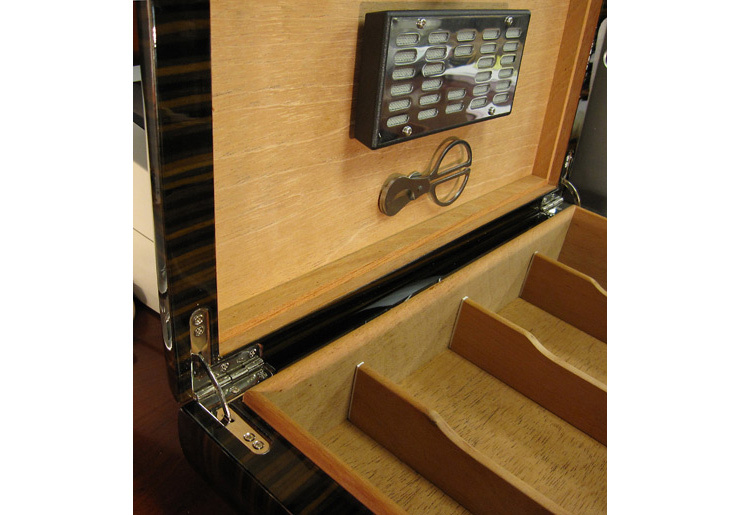 This is a beautiful humidor. The price was very reasonable for the high quality. It is a nice piece to display. 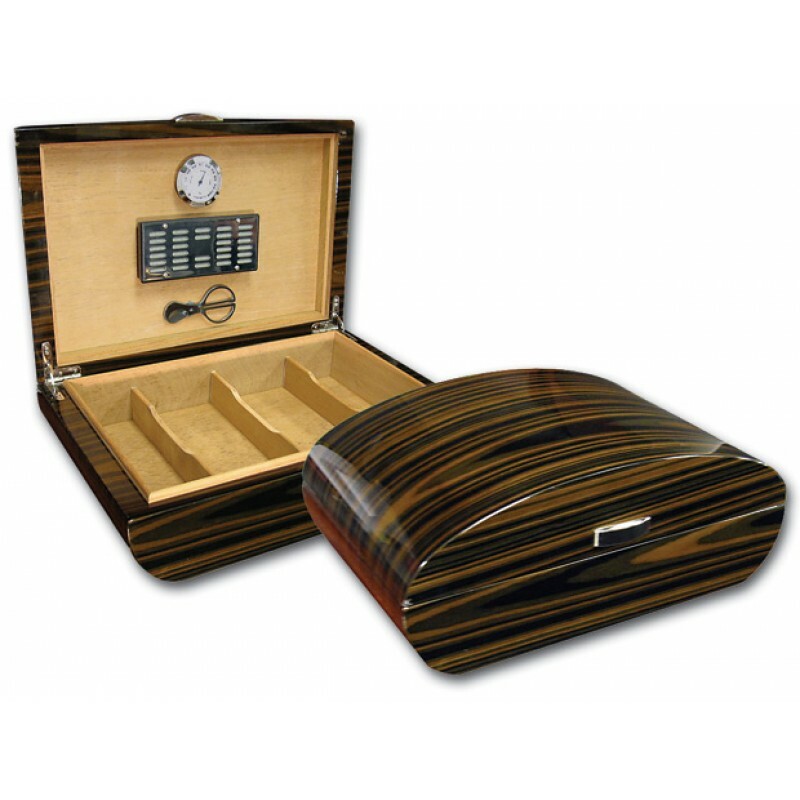 The lines of this particular humidor caught my attention, (I also own 2- of the La Salvatore model that I gave to friends). I was more impressed with this humidor when it arrived. Beautiful wood-grain, as stated, appealing radius shaped top, and substantial/heavy, well built. Tight joinery and approximately 1/8" Spanish cedar on the sides, which is thicker than some other humidors I've seen/owned. The offer made on name your price was quickly and fairly answered, netting the purchase and arrived quickly and in perfect condition. Name tag is ok. Humidor itself, level of the service are higher, than expected.